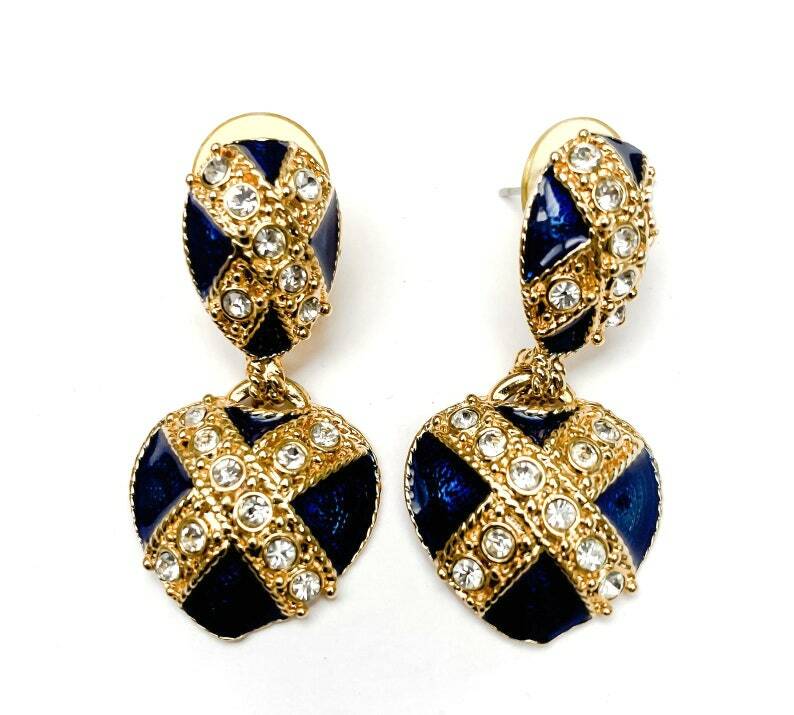 Serendipity Treasures present this pair of stunning Blue rhinestone heart dangle earrings.
. all stones are present and in good condition. the gold tone metal and blue enamel is in good condition.